I just finished this design for King's Kids, a choir for children K–2nd Grade. 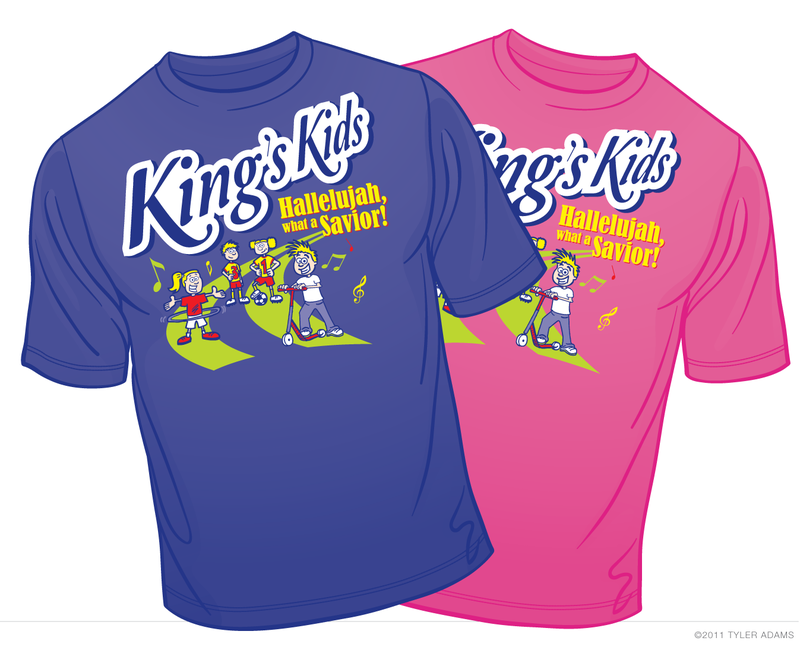 They have their Spring performance coming up and wanted a new, colorful & fun shirt for the kids to wear. I made the custom illustrations tailored to their requests. I don't do a lot of illustration anymore, and cartooning is my preferred style, so any chance I get to draw some characters is a lot of fun for me.